Aliexpress.com : Buy Stepper motor Driver H8600 2.6 7A 24V 70V DC Microstep 256 motor driver instead of MA860H for NEMA23 NEMA34 stepper motor! from Reliable motor thermostat suppliers on BEST Technology CO.,Ltd. 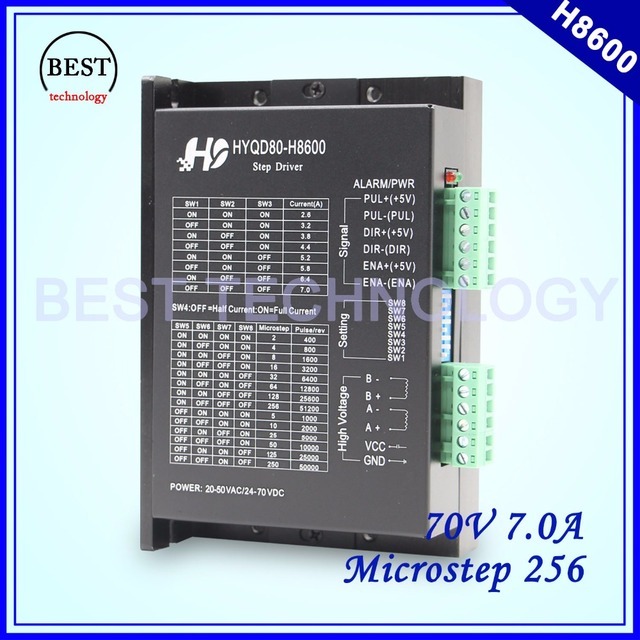 Stepper motor Driver H8600 2.6-7A 24V-70V DC Microstep 256 motor driver instead of MA860H for NEMA23 NEMA34 stepper motor!